After several months of silence, a new resounding dump in Middle East. I have just received an email message from [email protected], one of the early pro-Israeli contenders of the Middle East Cyber War, advising me of a new huge dump against an Iranian Server (irimo.ir, Iranian Meteorological Organization), which is currently unavailable. 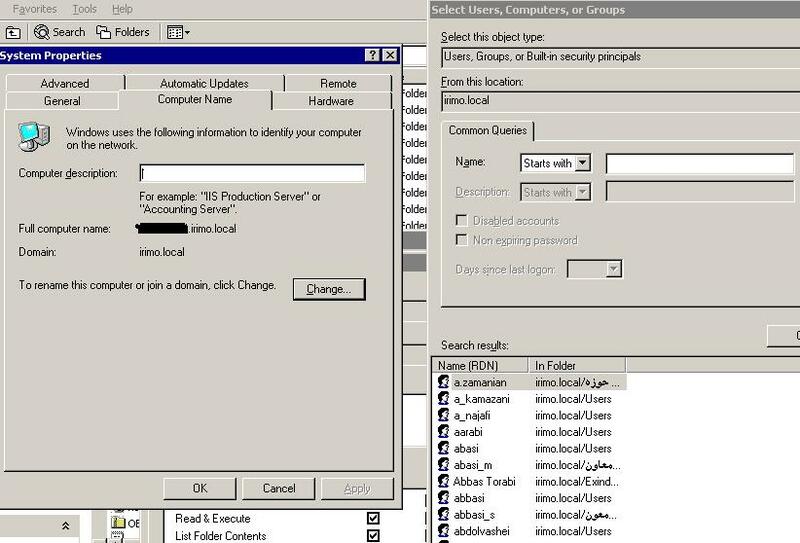 He claims to have acquired administrator privileges for the domain (1500 computers and server, 400 users), and has posted some screenshot as evidence, and the list of 400 Active Directory Users. Of course I have decided not to publish the list except a small sample (which appears to come from a Windows 2000 Server), but cannot help but notice that, after a couple of months of silence, this is the first new event that closely resembles the resounding dumps which characterized the very first stage of the Middle East Cyber War. Will this be an isolated episode or a brand new precursor of a new wave of attacks in the Middle East? Update: Irimo.ir is currently unavailable, however, I was given a screenshot of the site before it was taken down. Looking at the messages left on the devastated site (which announced the erase of the Active Directory), it is interesting to notice that the reference to the Nuclerar as to reaffirm that the standoff between Israel and Iran about the Nuclear Strategy of Tehran, is influencing also the Cyber Space.